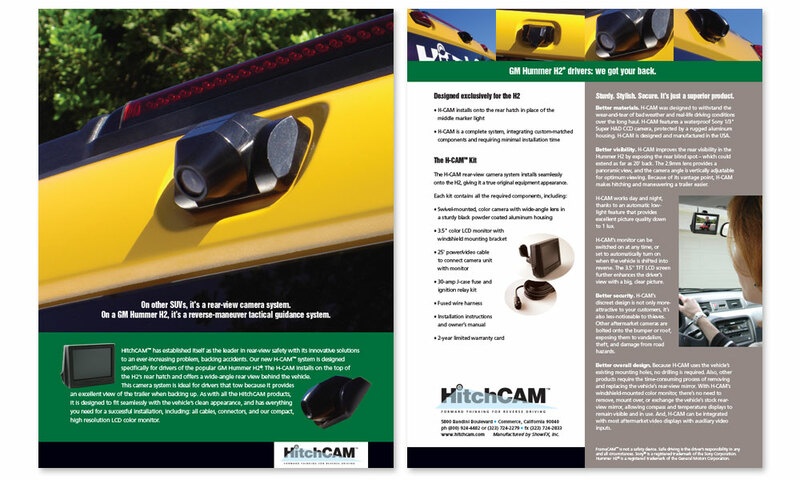 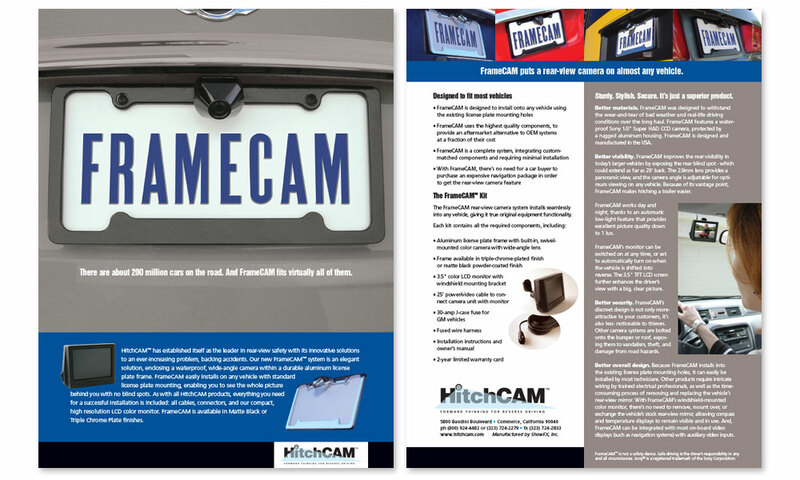 HitchCAM became a leader in automobile rear-view camera systems starting with a hitch-receiver mounted system and grew their line to include a license plate frame with an integrated camera, a flush-mount camera and a customized camera that fit seamlessly on Hummer vehicles. 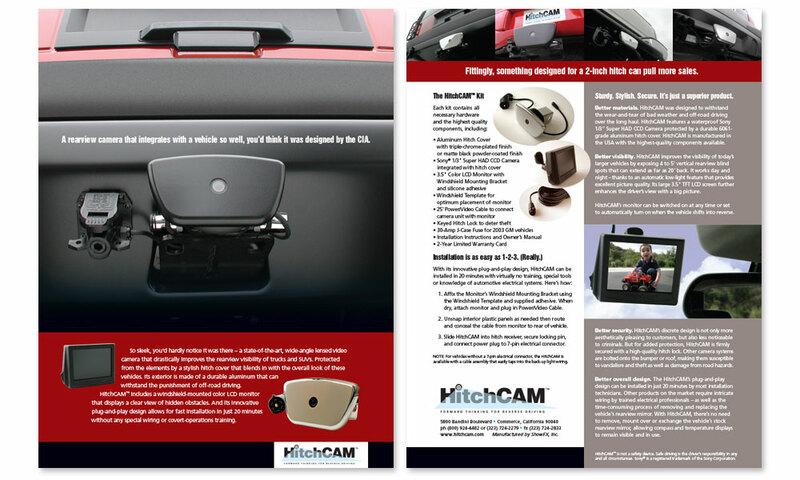 All the systems included a sleek, windshield-mounted color monitor for a day or night driver viewing. 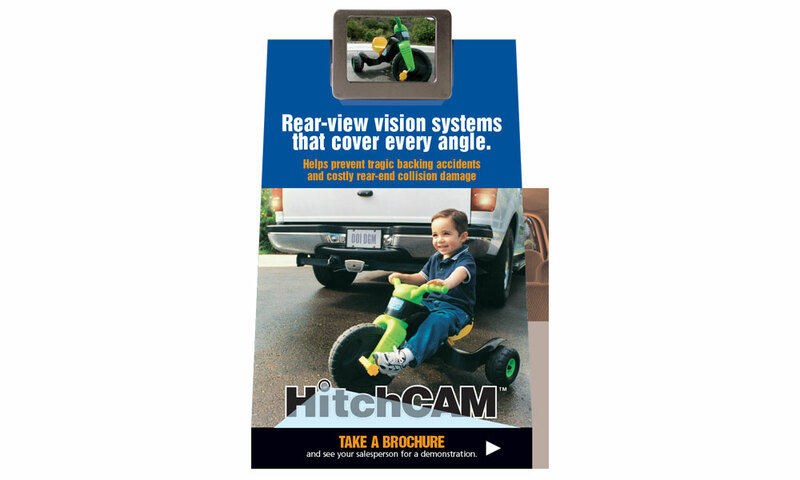 Unfortunately, it was only matter of time before manufacturers started including rear-view cameras as a stock item, but for a time, HitchCAM won accolades and changed the industry. 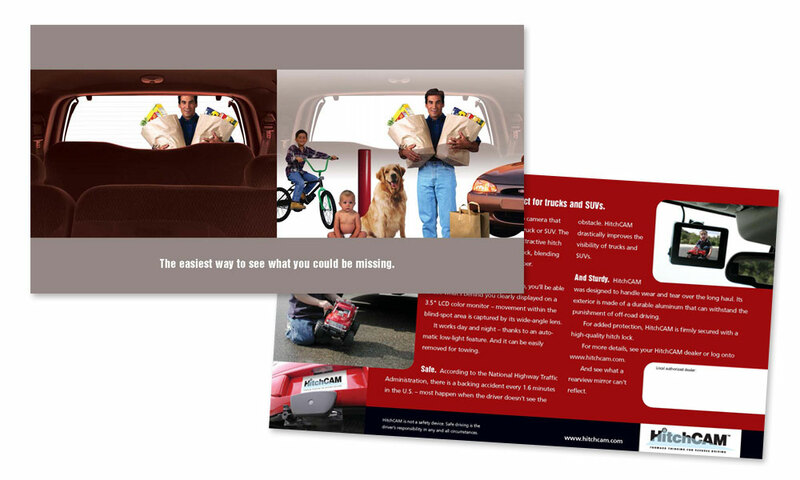 Targeted to installers of aftermarket automotive products, BrainShine helped launch this company with brand development, original photography, customized sales sheets, direct mail pieces, counter-top POP and tradeshow support. 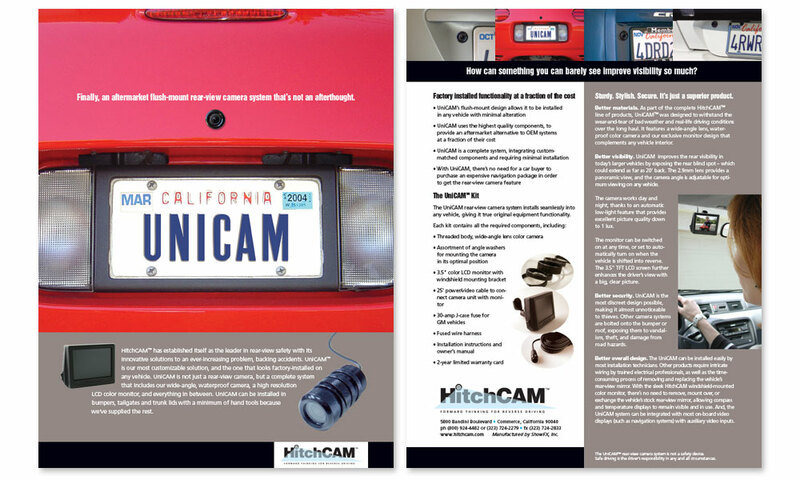 In it’s first year, HitchCAM was runner-up for best new mobile electronics product at SEMA, and featured on the Today Show, CNN, and in Consumer Reports. 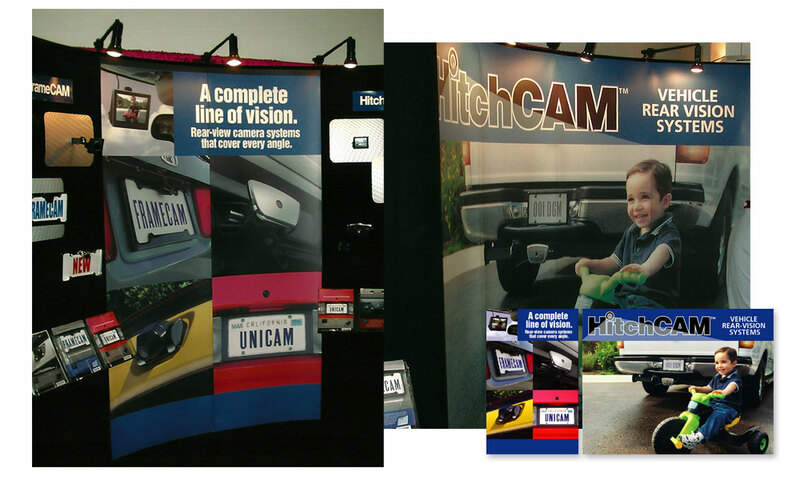 Our branded materials used at the LA Auto Show, SEMA, & CES gave this start-up company immediate recognition as they went up against well-established companies.